Five Autumn Recipes That Children and Adults Will Both Enjoy! The crisp air, pumpkins on every front porch, and, frankly, the lack of local summer produce in stores, always inspires us to start celebrating fall in the kitchen. These recipes are kid-friendly and celebrate the unique flavors of the season! 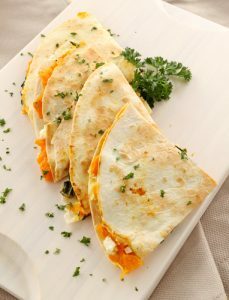 These pumpkin quesadillas are a true crowd pleaser. Kids love Mexican food and anything they can grab with the ir hands. The casual feel of this dinner will have your kids asking you to make it again and again. Using pureed pumpkin gives these quesadillas a sweet, autumnal flair. Lasagna is the definition of comfort food, and this lasagna is easy to whip up and will make everyone at the table happy. Make a big batch so that you can serve it as leftovers for lunch or dinner the following day. 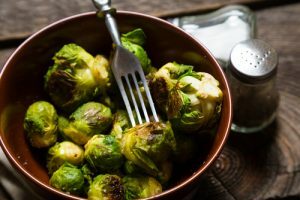 Put some veggies on the menu this season with these roasted Brussels sprouts. Because of the maple syrup that adds a sweet and addictive flavor, your kids may finally eat the green, cruciferous vegetables you’ve been trying to bring to the table! Finish off dinner with a dessert treat that is sweet, but still healthy and wholesome. These butternut squash muffins may look like cupcakes, but they’re packed with fiber and antioxidants. It’s ok for your kids to help themselves. Before you know it, you’ll have a refrigerator packed with leftover turkey, and a family that’s tired of turkey sandwiches. Whip them up a weekend breakfast with this turkey hash and fried eggs. It’s a great way to use your leftovers, and the turkey is much healthier than using traditional beef. What are your favorite autumn recipes? Do you have a few up your sleeve that kids and adults both enjoy? Share your ideas with us in the comments section!